Thought I should share with you the first time my camera clicked this beautiful face. I had stopped by her classroom the day before just to meet her without my camera. All the children were napping when I came in, though Alyssa was wide awake. I went over and whispered, "How nice it is to meet you!" I immediately got what others had said, because she certainly 'had me' from the first hello. The following morning I came in and there she was laying on the floor about to play with a container of "my little ponies." This was my 2nd frame. Alyssa Jadyn Hagstrom was born February 14th, 2004, at Ormond Beach Memorial Hospital, in Ormond Beach, FL. 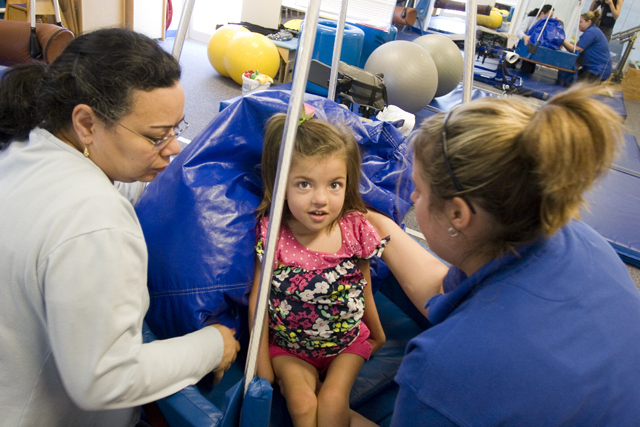 At birth she was diagnosed with a condition called Arthrogryposis. When she was delivered her legs, arms, and wrists were in a stiff, bent, inward position that would not allow for movement. 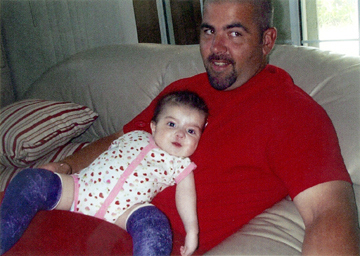 At two days old, all her limbs and wrists were stretched as far as possible to aim towards a more normal position; including cutting the right hamstring, for casts to set into place. 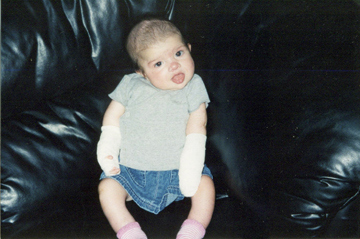 Within her first year of life, she had two major surgeries. Alyssa's feet were extremely clubbed. They were stuck in a position like a ballerina dancing in her toe shoes. In order to gain a chance of normalcy, her Achilles tendons were cut on both feet. Her left foot sustained even more extreme measures because of the crooked position it was in. 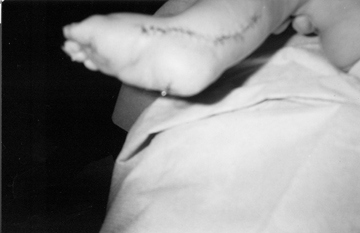 Surgeons had to remove her foot at the ankle bone by conducting what they call a "bone rotation," by cutting the bone in two places to twist and reattach into place. Visibly seen metal rods held her foot together for six months. This act of stretching her limbs into position to be placed in casts had to be repeated. Her condition causes all of her joints to be contracted, causing her never to be able to have the muscle to control them. Today Alyssa has no use of her legs, arms, and limited use of her fingers. This summer she may be undergoing surgery for an elbow release. This possibility would give her a bit of much-needed independence. Her arm would then be able to rest on the table, and she could bend down to reach towards her fork or spoon to eat. This is an earlier photo as well, taken back when she was receiving therapy, but at this time she is not. 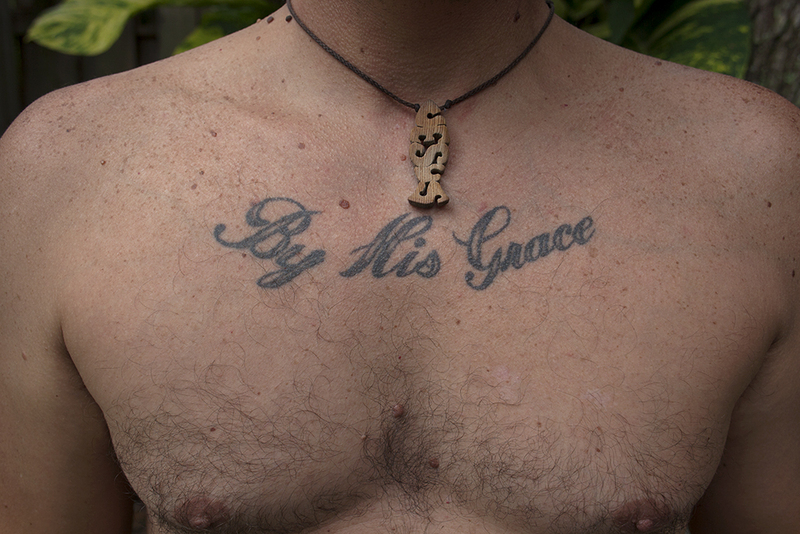 I am very thankful to Duane for letting me into their life in such an intimate way. I've been able to capture some beautiful images along this journey. I am very proud of this work. The possibilities the impact of this project could have on her life is a very overwhelming thought. I've gone to the extent of creating this corporation to follow through with what I believe is possible. Alyssa has no idea what she has done for me. In her short life she has been through many disappointments and her spirit has never darkened. She is worth fighting for. I believe in the good of people. The idea of Love For Alyssa is to create a 'movement'; for people to be inspired by the process of what coming together can create. The art of photography is the center piece in which allows us to connect. This change will have a significant impact on her future. Please come be a part of something so wonderful.